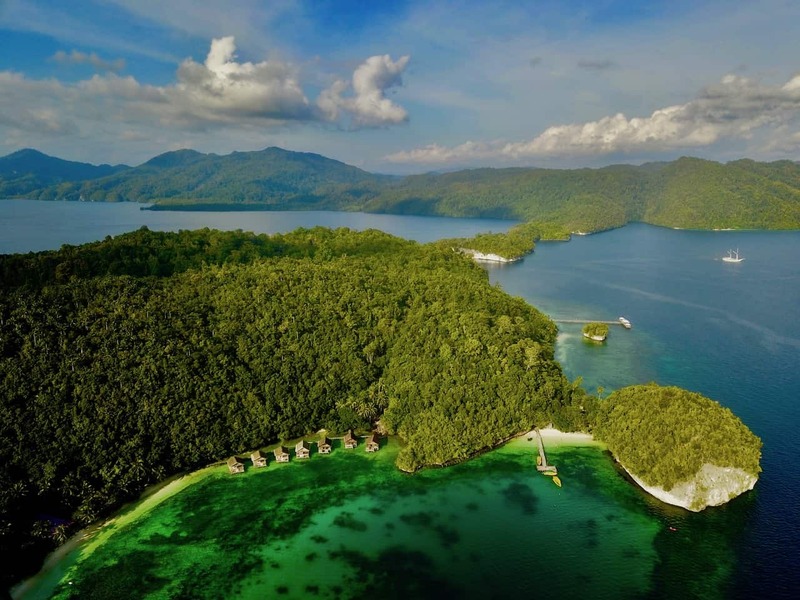 For those who like to do trekking or mountain climbing, and at the same time enjoying the magnificent marine scenery, Definitely Raja Ampat should be in your first list. Raja Ampat has more than 640 island, where more than half consist of high hill or could be classified as little mountains. 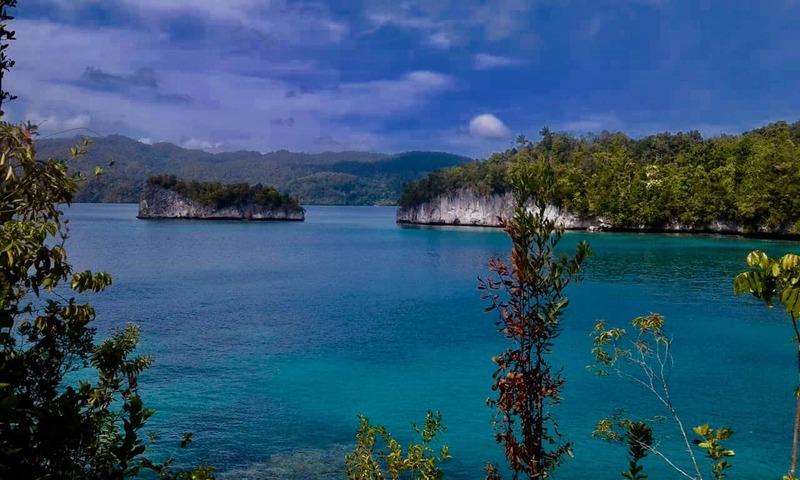 in Raja Ampat archipelago, we guarantee that the scenery from on top of the hill that you climb is completely fascinating, since they are combinations of beach and foothill. 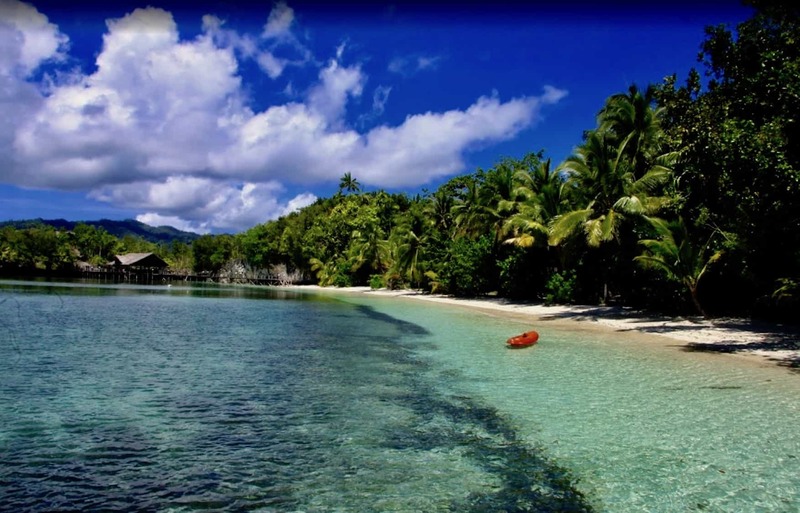 There is no doubt about it – the best snorkeling and diving site in the world is in Raja Ampat. 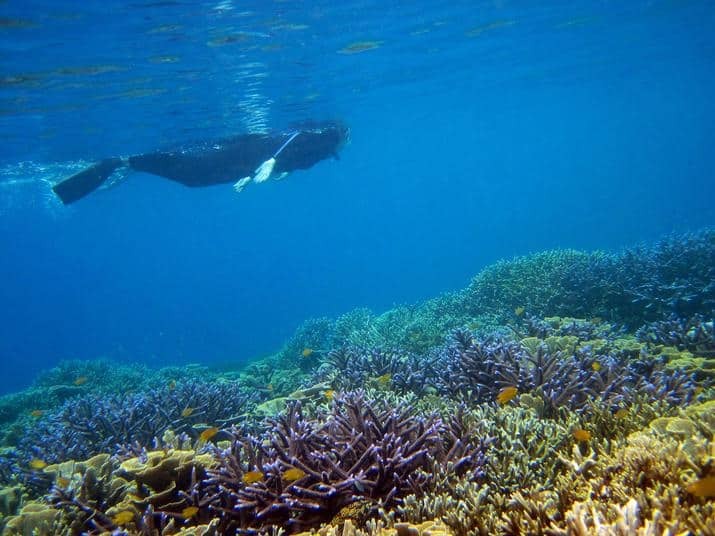 This eastern Indonesian archipelago contains more marine bio-diversity than anywhere else in the world – more fish, more corals. In 2002, The Nature Conservancy conducted a scientific survey of the Raja Ampat Islands to collect information on its marine ecosystems, mangroves and forests. 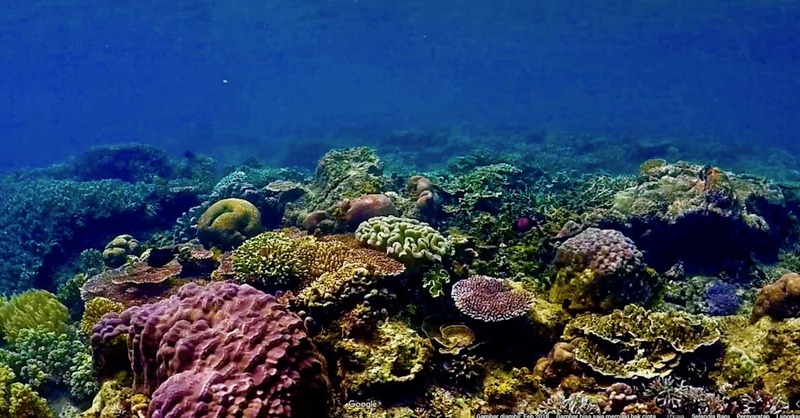 The survey brought Raja Ampat’s total number of confirmed corals to 537 species — an incredible 75 percent of all known coral species. Raja Ampat with six hundred island spread along the western coast of Indonesia is one of the last wild places in the world. It has the immense abundance of the Western Pacific marine ecosystem, from the tiniest bright-colored sea snails to huge pelagic fish. Topside, there are dramatic limestone islands, dazzling aquamarine lagoons, and fantastic birds including the endemic red bird of paradise. Close to the shore you can see Blue spotted Stingrays, Turtles, Crocodile Fish, Stone Fish, Bat-fish, huge school of Jack-fish and sometimes even a school of Bump head Parrot Fish. It is only in Raja Ampat. 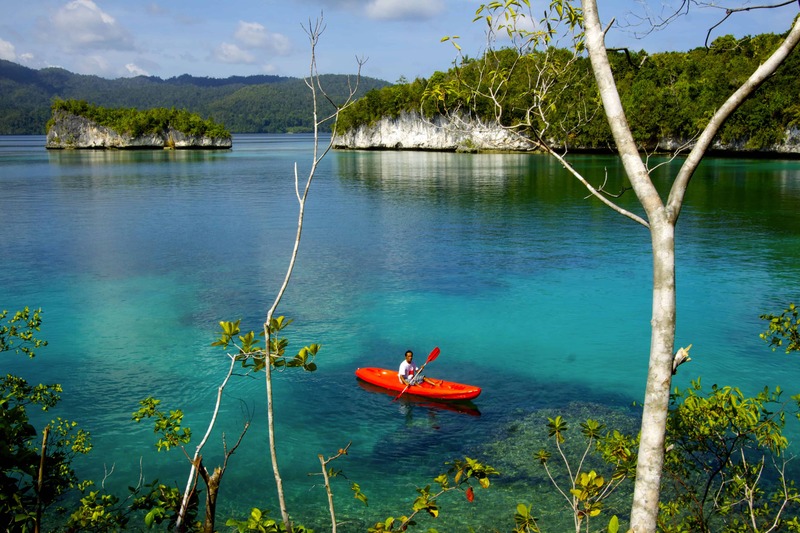 Raja Ampat is also known for its spectacular above water scenery. 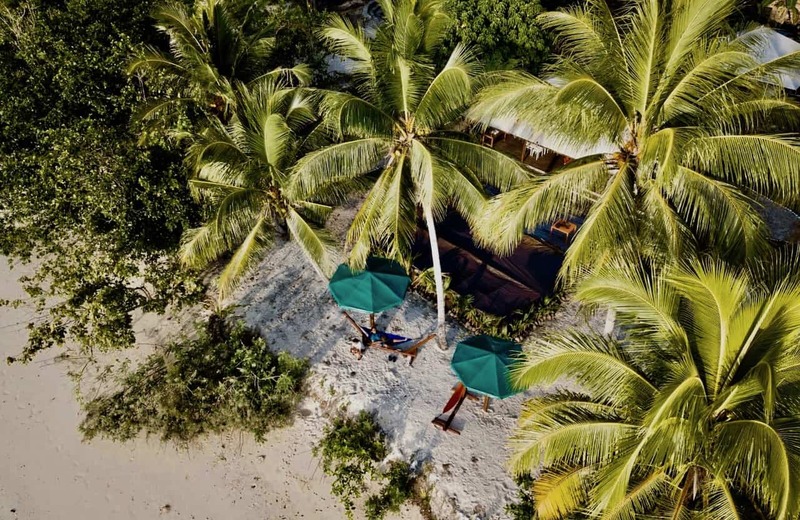 Sparsely inhabited, most of Raja Ampat still has pristine rain-forests atop dramatic limestone cliffs, uninhabited bays with white sand beaches and all sorts of hidden treasures to greet the intrepid explorer. It’s a kayakers dream, an intricate coastline with caves, bays, gorges, hidden rivers—all buzzing with exotic tropical wildlife. Birdwatching hike on Gam Island (an island out 640 islands in Raja Ampat) might take you through scenic forests, past fragile orchids growing from cracks in the stone, and finally to the unforgettable experience of witnessing male birds of paradise doing their elaborate courtship dances to attract females. 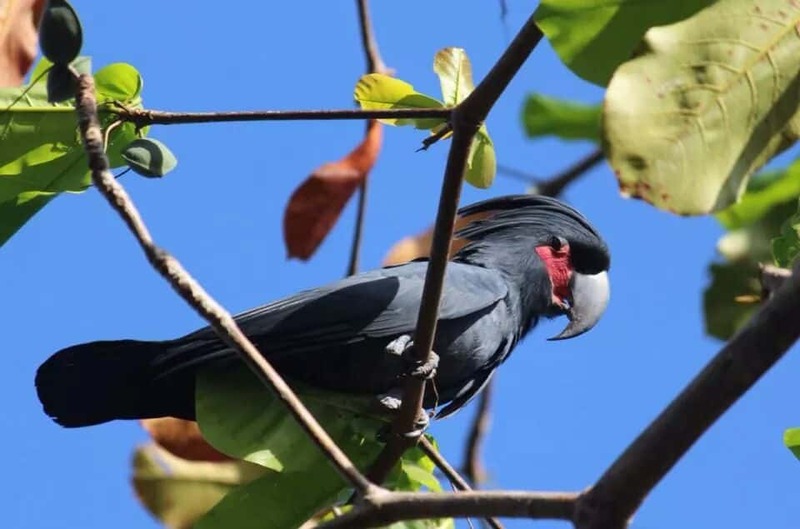 there are many endemic birds to the island of Papua and its surrounding areas. Bring a binocular and your telephoto lens. We’ll be looking for the noisy and playful parrots, cockatoos and hornbills as well as the showy ribboned birds of paradise. Some of Papua’s birds have been in the endangered list as well as near extinction due to poaching and logging activities in Raja Ampat. There are many endemic birds to the island of Papua and its surrounding areas, most of them in Raja Ampat. Bring a binocular and your telephoto lens. We’ll be looking for the noisy and playful parrots, cockatoos and hornbills as well as the showy ribboned birds of paradise. Some of Raja Ampat’s birds have been in the endangered list as well as near extinction due to poaching and logging activities. Raja Ampat’s cultural heritage is rich and diverse too, ranging from neolithic shell middens and prehistoric cave paintings, through relics from the era of the Four Kings (Raja Ampat) who once ruled here and gave the region its name, to remnants of a more recent history such as the cave bunkers and seabed wreckage remaining from the Second World War. Raja Ampat Doberai Eco Resort completes your adventure in this unparalleled place by letting you witness the stone aged era of the mankind. Several activities await you such as visiting the sea cave skull cemetery, sacred stone, fish spearing, hot stoned cooking and so fort and so on. Through its above and under water spectacular marine scenery, Raja Ampat could satisfy many people from many interest, one of them is photographer. Raja Ampat Doberai Eco Resort could provide special package only for photographers, so you could maximaze your time taking picture around. Please contact us for further info.